This trip gives you the chance to experience two very different locations. The Chamonix Valley in France traditionally famous as a mountaineering town and home to Western Europes' highest mountain, Mont Blanc and Cogne, in Italy is a gorgeous remote village with cobbled streets which just oozes character and tradition. Two contrasting locations, each to be savoured. For your convenience we have included a transfer from Geneva airport, in Switzerland to Chamonix, France and the start of your snowshoe trip. The transfer from Geneva airport to your accommodation should take approximately 1h30. Once you have confirmed your flight times we will provide details of your pick-up at the airport. This morning we travel a short distance to the alpine village of Les Houches where we take the ski lift into the mountains, a great way to save the legs! We are rewarded with excellent views of the entire mountain range, featuring the highest in Western Europe, the mighty Mont Blanc sitting at 4810m (15,776ft). Imagine being up high and surrounded by sparkling glaciated summits and jagged rocky ridges, and you have got the idea. If this is your first time in the mountains in winter we can promise you will find the experience breath-taking. From the top of the lift we leave the skiers behind us and begin our walk to the summit of Le Prarion which sits at 1969m (6458ft). En route your guide will give any instructions necessary with regard to walking while wearing snowshoes. There is no skill required you simply walk! Snowshoes prevent you from sinking too deep into the snow, and if icy they have spikes on the under-side which gives excellent grip. The top of Le Prarion offers a wonderful vista and your guide will be able to point out the major peaks which have for centuries attracted alpine climbers from around the world. This afternoon you will have free time to visit the world famous alpine town of Chamonix where there are a multitude of options and activities. You might want to take a trip on the historic Montenvers rack and pinion railway train which takes you up to 1913m (6274ft) above the famous Mer de Glace glacier, the 'Sea of Ice'. The mountain views from this location are stunning, while looking down you will find yourself focusing on the Mer de Glace where you can usually see ski mountaineers descending from the high summits. Also at Montenvers you will find the 'Grotte de Glace', or Ice Cave which takes you into the very heart of the glacier. Re-sculpted every year, it describes the life of mountain people in the early 19th century. 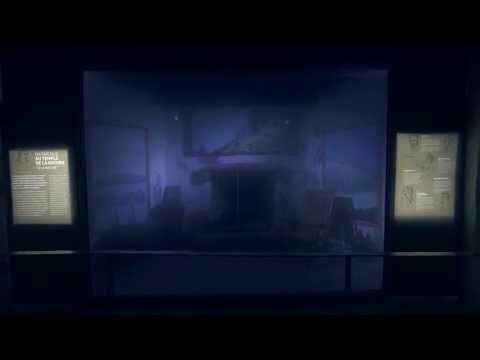 There is also the Glaciorium where there is a fascinating exhibition looking at the creation and evolution of the glaciers over the centuries. Well, worth a visit! Full details of ticket prices and opening times can be found here. After a leisurely breakfast, we take the historic Mont Blanc Express train towards the Swiss frontier for a snowshoe walk in a local valley. The train ride which takes 30 minutes is to be savoured, and you can reflect on a history which has seen climbers and mountaineers climbing aboard this train for more than 100 years. The locals regard the Mont Blanc Express with fond humour, it's called an ''Express' but travels at a very leisurely pace. To be honest it's pace is perfect as it gives you time to enjoy the beautiful views from its windows. We then arrive at Vallorcine, this is the 'Valley of the Bears' due to the high numbers of bears in the Middle Ages. Unfortunately, at that time the locals paid their taxes in bear meat, hence there are no bears today! However, if you take a careful look at some of the ancient chalets you will see many a 'bear' motif carved into the wood. We can choose from several excellent snowshoe options here, most of which take us past some characterful hidden chalets and hamlets. We may also explore the Berard Valley, walking beside the gorge and waterfalls where the ice is frozen into fantastic shapes. This afternoon you have further free time to explore the valley. You may want to take the Aiguille du Midi cable car up to 3800m (12,464ft) where you will feel the altitude and experience what it is like to see Mont Blanc up close, or at least as close as you can get without further effort. For more than 60 years, the Aiguille has been a world attraction. There is also the alpine museum which chronicles the history of Chamonix, and the famous climbers who have made their mark on the mountaineering world. Or if you would like some luxury you could visit the new QC Terme wellness and spa centre. The spa is indeed a wonderful place to spend an afternoon and you will feel brand new after the experience! Any aching muscles will soon disappear. You should consider booking on-line in advance of your visit if you want to be guaranteed a reservation. On-line reservations can easily be cancelled if necessary. Today we ascend to an 'alpage' - a beautiful, high alpine meadow where sheep and cattle graze in the summer months, but in winter is a wonderful place to enjoy the snow. The ancient Chalets de Chailloux farm also offers a fabulous panorama of the glaciers and peaks dominating the Chamonix valley. To be honest we think it offers one of the best views of Mont Blanc and the other stunning alpine peaks of this wonderful part of the French Alps. We being with a steady climb through lovely larch forests before we reach the high ground, en route we pass ancient chalets which for generations have been the summer homes of local people. Often the tell tale aroma of wood-smoke means that someone has come up for the night to enjoy the solitude of this snow covered world. On our way back down we can do an excellent loop through the silent forest which sees few other people. We should arrive back in Chamonix with some time for some apres 'snow' and a sauna before dinner. Todays snowshoe hike will have been longer than the previous two days, but it may still allow time to further explore Chamonix, or simply to relax in the hotel sauna. Late this afternoon you will transfer by private minibus to your new hotel in Cogne, Italy for the start of the second part of your trip. You will be able to leave your luggage at your hotel in Chamonix, and spend the day relaxing, shopping, visiting the museums, the luxury spa, or taking in the sights! There is plenty to do in this bustling cosmopolitan alpine town. Your transfer will first collect the incoming guests at Geneva airport, who are joining the Italian Ski Break, and will then collect you at your hotel in Chamonix. This transfer will be organised for you, and full details will be confirmed after booking. Via the famous Mont Blanc road tunnel it takes approximately 1h30 to reach Cogne in Italy from Chamonix, France. Once in Italy we join the mountain road at Aosta up into the Val di Cogne and the Gran Paradiso National park. Our accommodation is the gorgeous Hotel & Spa du Gran Paradis. Day 6: Introduction to 'cross country' and cappuccino! In Cogne, Italy our hotel is located a very short walk from the ski tracks. After ski fitting and finding our 'ski-legs,' your instructor will take you through various exercises to introduce you to the techniques for 'classic style' cross country skiing, and what we call a basic 'diagonal stride'. Cogne has an excellent 'stadium' offering beautifully groomed tracks in a large flat area. This perfect arena for learning to ski offers a range of trails suitable for every level of skier. Lunch will be at a local restaurant or cafe, and there will be opportunities for cappuccino. In the afternoon we return to our skis for further practice, consolidating what we have learnt with options to make some short journeys. It's not all about the skiing! After a day on the ski trails there will still be time to explore the shops, bars for a pre-dinner apéro or relax in the hotel wellness 'Spa La Baita'. Post ski massages can be booked directly with the hotel. Be inspired to ski! With 55km (35 miles) of ski trails, many regional and national cross country ski competitions like the Marcia Gran Paradiso take place in the Cogne valley. The main trails are flat or gently undulating, and are the perfect training ground for beginners and racers alike. The free ski bus means we can explore the neighbouring villages such as Epinel or Lillaz. After a warm-up and review of our new found skills from yesterday, we can make a short tour to reach our lunch venue. Our afternoon will be spent adapting our basic diagonal stride for different types of terrain. There will be plenty of opportunities for learning new skills or practising along the way. Our instructors aim to ensure that you progress each day at 'your' level while maximising enjoyment of the activity. Today we plan to put all our skills into practice and make a longer tour that can be adapted to suit everyone's level. Our aim is to ski to the delightful upper valley of Valnontey. This snow filled valley is famous for ice climbing, and it's possible to see ice climbers tackling the spectacular frozen waterfalls that line the valley on both sides. We will stop for lunch at the characterful family run Albergo of La Barme. Think heavy stone tiles on the roof, ancient woodwork, and a tiny hamlet of old wooden houses. After lunch we tour further on undulating trails by the rivers edge to the head of the valley. It's often possible to spot ibex and chamois on the valley slopes and in the woods close to the trails. Our return journey includes some enjoyable downhill sections which can again be adapted or avoided(!) to suit. Today is departure day and your private minibus transfer will collect you after an early breakfast from your hotel to take you to Geneva airport. The return transfer will leave Cogne at approximately 07h30 in order to arrive at the airport between 10h30-11h00. The drive time is approximately 2h45. Your flights from Geneva airport should be booked to depart no earlier than 12-midday. We have chosen a Sunday departure to avoid Geneva week-day rush hour and to minimise any chance of traffic delays. We always aim to accommodate our guests in well-situated, clean, characterful, family run accommodation. In many cases we have known the management for years, and it’s like visiting friends. Our suggested accommodation, listed below, is subject to availability at the time of booking. We have given details of our favoured venues and those we intend to use. If unavailable we will book alternative accommodation of a similar standard. While in Chamonix we usually use the 3* Hotel Aiguille du Midi which is a lovely place to stay with excellent food and sauna/spa facilities. This trip will include Dinner, Bed and Breakfast and meals can be adapted to suit any dietary requirement. To ensure that we are able to book the Hotel Aiguille du Midi we advise you to book early. If this hotel is not available then we will stay somewhere similar in Chamonix and always where possible we use family run hotels, with plenty of comfort and character! For convenience we have included a transfer from Geneva airport, in Switzerland to the trip location. Whether your trip begins in Chamonix, in France or in Cogne, Italy will depend on the set of dates you have selected. Our departure/pick up time from Geneva airport is scheduled for 16h30, however, once we have all the guest arrival times we may bring this forward if it suits all members of the group. If your flight arrives earlier in the day you can use the time to explore Geneva. The towns of Chamonix, and Cogne, are linked by a transfer which is also included in your trip fee and will be organised for you. The drive is approximately 2h15 between the two resorts. Cogne, in Italy has an excellent reputation for good snow cover. There are over 55km (35 miles) of ski trails, and IF for any reason the weather has not delivered sufficient snow Cogne has excellent snow-making facilities. The Italians have become experts at the production of so-called 'artificial snow' and the quality of skiing on this snow is superb. Cogne also boasts a fabulous 'stadium' providing the perfect flat open training ground for beginners. In Chamonix, in France the snow usually begins in December, runs through until April, and sometimes into May. As we are snowshoeing and not therefore tied to specific tracks, as with the cross country skiing, we will aim to provide the best options for a good day out. Ski passes can be purchased once you arrive and are expected to cost approximately 20 Euros in total for the 3 days. Normally, we ask your hotel to organise your ski pass. The hotel will require payment for the ski pass in cash Euros. For cross country skiing your clothing should be similar to that required for a winter walking day, but it should allow you mobility, and your trousers should ideally have some degree of 'stretch' to them. You need freedom of movement without any restrictions. If you are a runner then winter running gear is suitable. We will send you a full clothing and kit list upon booking. You will be required to hire skis and pay for a ski pass; these are not included. Please read the section 'Ski Rental and Ski Pass' for details. For snowshoeing we suggest that clothing for a day of winter walking is perfect. We do not advise 'downhill' ski clothes as these are generally too restrictive for these activities and too warm. All snowshoe equipment will be supplied by us and is included in your trip fee. This will include snowshoes, avalanche transceiver, snow shovel, and snow probe. You will need to wear warm and waterproof walking boots that reach above the ankle. 'Low cut' boots or trainers are not appropriate for snowshoeing. When booking a holiday as a solo traveller a twin bedded room comprising of two single beds, is booked as standard. This will be with someone of the same gender unless you request to pay extra for your own room. Single rooms are often limited in supply so if you would like to pay a supplement for a single room we urge you to get in touch as soon as possible. This trip has a single supplement of £365. For the cross country ski element of your trip you will have a fully qualified professional cross country ski instructor. We only use first class instructors who are experienced, enthusiastic and supportive of beginners learning to ski. All our team are BASI qualified (British Association of Snowsport Instructors) or equivalent. With regard to the snowshoeing we employ excellent guides who are all qualified International Mountain Leaders or equivalent. Please refer to the About Us page to confirm the standard of guides/instructors who are part of our team. Please note that our Snowshoe and Ski Combo is designed to be an introduction to these activities and therefore you do not require previous experience, but you do require a reasonable level of fitness and be used to taking exercise. All our grades are available here but for ease of reference we have also provided the description below. This is for you if you would like to walk in the mountains in winter, but your experience of snowshoeing is limited or zero! On these trips full instruction is given on snowshoe technique and equipment. In reality you just need to be able to walk, it is that easy. However, we will be walking in the mountains and we expect that you take regular exercise that involves climbing up hills and have a reasonable level of fitness. We will walk on a variety of terrain from flat to steeply undulating, most of the time we will be walking on a trail, but if there is fresh snow we will enjoy making our own track. We may on rare occasions reach an altitude of up to 2500m (8200ft), but we will sometimes take a cable car to get there. We may complete ascents/descents of between 300–500m (984-1640ft) per day with one longer day of up to 750m (2460ft). Expect to be out on the mountain for between 4 – 6 hours per day. While on your snowshoe trip in Chamonix, France we suggest that you order a sandwich or packed lunch from the hotel the evening before your day out. When in town it is a good idea to also stock up on a few snacks, and high energy food. In Cogne, in Italy where you will be skiing there are many cafes and restaurants and we usually eat lunch in one of them. This is the best way to warm up, and hydrate and enjoy the best local dishes. The meals in Cogne are relatively cheap, and you can indulge in an Italian experience with fresh pasta, and polenta dishes. Great fuel for skiing, just don't eat too much before getting back on your skis or you will find the afternoon hard work. For both of these trips you will require Euros. The hotels will take a credit card for any payments necessary, but ski hire and your ski pass usually require a cash payment. Please refer to the Ski Rental and Ski Pass section for the cost. There are cash points in both Cogne, and in Chamonix if you require to withdraw cash Euros. This trip features two lovely family-run hotels with spa facilities. At both hotels massages are available upon request, and should ideally be booked as soon as you arrive. On the day to day itinerary we have given details of our suggestions on how to spend any free time in the afternoons. 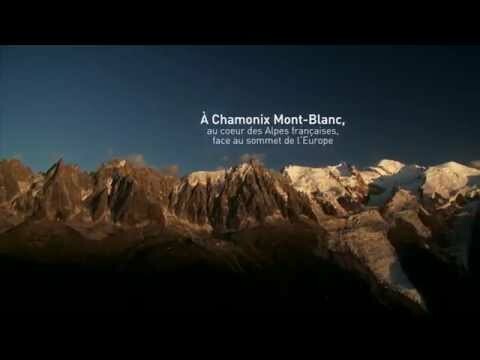 Chamonix has a large range of activities on offer, and there is plenty to see and do. You will find many recommendations on the local Tourist Office website. In Chamonix you also might enjoy visiting the newly opened QC Terme a luxury wellness and spa experience offering a large range of treatments. This can be booked by yourself on-line in advance of arriving in Chamonix. It is possible to cancel your booking without incurring cost. If making appointments for the late afternoon or early evening please give thought to the impact on your evening meal and if you have sufficient time. The last train back to our hotel in Chamonix is at 20h14 and is approximately a 10 minute ride. The historic Montenvers rack and pinion railway will take you high into the mountains to a world of glaciers and snowy peaks. A world class attraction for over 60 years. The Aiguille du Midi gets you up close and personal to Mont Blanc and this magical world of ice and snow.